The parallel interface has a serious limitation in that data can only be transmitted reliably over relatively short distances. This problem is solved with the lightweight, easy to use, IC-164T/IC-164R (Transmitter/Receiver) line extender pairs. 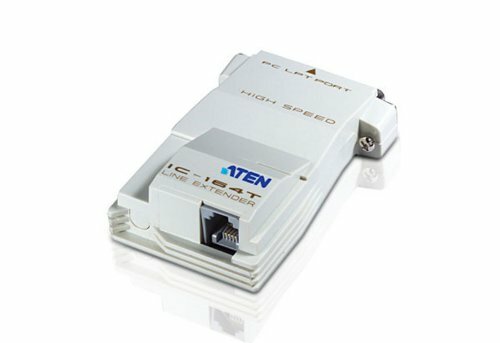 The speed of the IC-164 outperforms any available product of its kind, and use of 4 wire telephone line virtually guarantees error free transmission. Cable distance of up to 400m (1300').